Fuchsia OS Apk: The next big thing in the Operating System world is going to be Google’s Fuchsia. It may be the codename. The app files are available on the Github as provided by the Google developers themselves. It would probably make an awesome OS in the future. According to Slashgear, HotFix Computer Repair maestro Kyle Bradshaw made it possible for them to use the APK and get a feel on a smartphone. This APK is a sort of a preview for the launcher. The final build will be full-fledged OS, until then, this small size file can be used for demonstration purposes. This is its advantage here. It showed us that the Google’s next OS has been codenamed – codename Armadillo, codename Fuchsia. Fuchsia is the OS codename while Armadillo is the 1.0 name like Android releases, but they were desserts. Inside Fuchsia Armadillo gave us a look at its Material Design. The user interface includes a few basic details like the time and the date. Its basic module has the day, time, location, and a battery level icon. A tap at the user icon in the center brings up additional info and options. On pulling the user up or down, it brings a set of Story panels or a new version of Google Assistant. The Assistant’s new edition appears to be an upgraded version of Google Now’ onscreen content detection powers. Originally, it was called Google Now On Tap. Through the code, it was all about pieces and bits which is enough for developers to keep on updating and developing. Some note are entirely apparent. So, the original Git-hosted files are necessary to see the full expanse of what’s coming next. 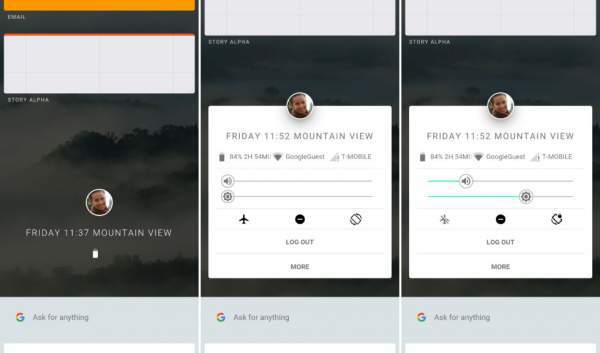 Most users should get satisfaction using the ultra basic version of Google’s new OS. To get the most recent build of Fuchsia app compiled by Bradshaw, you need to got to HotFixit (http://www.hotfixit.net/single-post/2017/05/03/How-to-build-Armadillo) or go to the following url https://drive.google.com/file/d/0B_l-lZTiTlI7Vk0tRElJeDJkaWRjR1VnRkxiOXZFU1dYT0Vr/view to download the APK. Note: This apk should work flawlessly on most modern Android devices. But, we take no responsibility for any mishaps. If a user is downloading and using the file, it becomes his/her responsibility for the actions from that point forward. Stay tuned to TheReporterTimes for latest OS news and Google updates round the clock. Previous articleiMac 2017 Updates: 27-inch Screen Device To Be The Most Powerful Desktop Yet?